Update: Since posting this comment the Labour Party have formally adopted this policy of taking away winter fuel allowances from higher rate pensioners. But the Revenue have confirmed that they do not collate figures showing how many households have higher rate and standard rate taxpayers who are currently eligible for winter fuel payments. They do not need to collect the information as taxpayers are assessed individually. So they don’t know the breakdown. The only figures they have are the number of higher rate taxpayers who are pensioners. He does have a parliamentary answer from the department of work and pensions based on an estimate for the £100m savings but it does not deal with the situation outlined below. I am used to David Cameron shooting from the hip with knee jerk, ill thought out policies to respond to public opinion but I thought that Ed Balls would be cleverer than that. Evidently not. His latest pronouncement promises to save £100m by withdrawing winter fuel payments from pensioners who pay higher rates of tax sounds good. Labour expected this to show they are being tough on the rich and offering savings. Actually it will do neither. As a punter and pensioner who pays higher rate tax because my freelance earnings top up my pension I expected to be one of the people targeted by Ed Balls. In fact it will have zilch effect, a load of old Balls if you like. But it is actually worse than that. My wife became a pensioner before me and was entitled to the full household fuel allowance in her own right. So when I was on The Guardian, our household was receiving then a £250 fuel subsidy for a short time. What will happen under the Balls changes is that my wife will get back the full benefit of £200 – so we will still continue to receive exactly the same subsidy. I suspect I am not alone. I know of many people around me in the shires, where in traditional families of that generation the main earner is the male who may well pay high rates of tax. His spouse who brought up the children, and did part-time work instead, would be a standard rate taxpayer. These wealthy households will continue to get the subsidy. Now Ed Balls could get round this by imposing a household cap equivalent to the income level set by the higher rate of tax. But if he does this he will run into fresh problems. “can it really remain a priority to pay the Winter Fuel Allowance – a vital support for middle and low-income pensioners – to the richest 5% of pensioners, those with incomes high enough to pay the higher or top rates of tax? If he does this he will have misled people in this speech because this would mean that two pensioners with say a combined income of £44,000 will lose the allowance – extending the cuts right into the middle-income group – the so-called ” squeezed middle”. Millions more people will be hit than Labour claims. Or he could change the entire tax system going back to household not personal incomes, which would be enormously costly. This proposal seems typical of a metropolitan political elite. 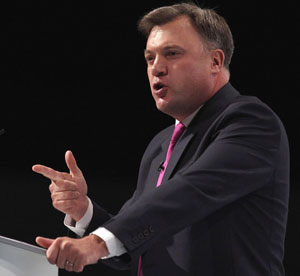 Ed Balls and Yvette Cooper are both high rate taxpayers – just like David and Sam Cameron – and would expect to be hit when they reach retirement age – probably 75 by then. But the rest of the country is nothing like that. Either you are going to hit more households and take away the benefit from standard rate taxpayers or leave a proportion of wealthy households still receiving the fuel allowance. And the Parliamentary answer does not provide the answer to this. This entry was posted in Uncategorized, welfare, Whitehall and tagged ed balls, fuel allowance, government, labour party, rich pensioners. Bookmark the permalink. Shocked to hear you describe yourself as a pensioner Henks….still have a tattered business card from you at the Gruniad obtained at a forgotten bar at some party conference…..